JACK H. COLLINS, 89, of Pocatello, passed away Friday, June 10th from a cerebral hemorrhage at his home surrounded by his loving family. Jack was born in Nampa Idaho and lived in Idaho nearly all his life. He was the son of George Clark Collins and Serena (Davis) Collins. Jack went to Kuna High School, class of 1940. He married the love of his life, Stella Dunlap on July 24, 1941. He served in the Navy during WWII and was honorably discharged in 1946. Jack worked for the Union Pacific Railroad and on construction as a pipe-fitter welder with local #648. Jack was an avid motorcycle/ATV rider, hunter and snowmobiler and participated in those sports with his wife and sons right to the end. 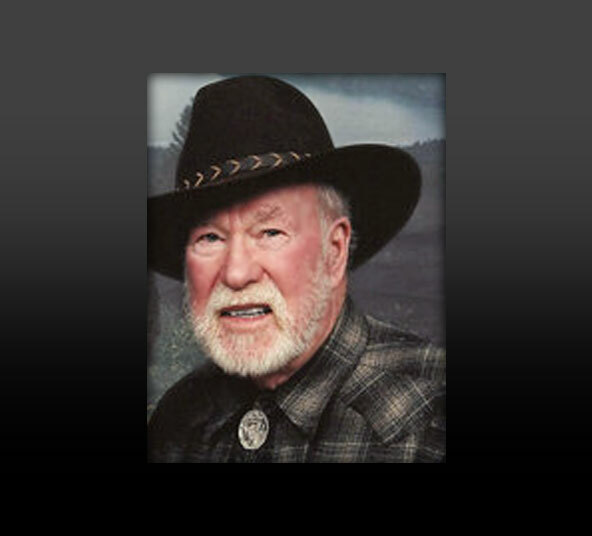 He was active in the Pocatello Trail Machine Association, a member of Plumbers and Pipefitters Local # 648, the Pocatello Pathfinders, the National Rifle Association and the BlueRibbon Coalition that was founded by his son, Clark. Jack and Stella enjoyed camping with family and friends and blazed and helped to maintain many of the local trails in the area. They are the informally adopted parents of many local trail enthusiasts and even some out of state visitors. Jack knew our local ATV and snowmobile trails like his own backyard. He and his wife Stella wore out many much younger riders on their all-day trail-rides on challenging routes. Jack was preceded in death by his parents and two great grandchildren. He is survived by his wife of 70 years, Stella; sister, MaryLou (Tom) Compton, his children Clark (Rita), Dan (Mary), Kristine (Tony) Cucienello and Kelly (Kathy). Grandchildren; Terri Collins Woodland/Michael, Robert (Janet) Collins, Ardena Cucienello, Nicki (Collins) Sintay/Scott, Cheryl (Collins) Richards/Merritt, Anthony (Linda) Cucienello, Coral (Collins) Huerta/Ruben, Michael Collins, Kasey Collins, Kaitlin Collins. Sixteen great grandchildren and one great-great grandchild. Jack chose to be cremated. A celebration of life will be held in the basement of the Holy Spirit Catholic Community St. Anthony Chapel, 7th and Wyeth in Pocatello at 2pm on Tuesday June 14th. Lunch will be served by the Holy Spirit Council of Catholic Women. In lieu of flowers the family suggests donations “in memory of” to the BlueRibbon Coalition (see button below). Special thanks and gratitude to Doctor John Lassere, the staff of Portneuf Medical Center, Creekside Hospice and Downard Funeral home.